TM Lee is well known in camera and photographic circles as he was the creator of the Hong Kong manufactured Holga Camera. However there is very little biographical information about Mr Lee. He was born around 1930. He was employed as factory manager in HK by the Japanese camera manufacturer Yashica from 1966 for a few years. He later started two companies, Universal Optical Industry and Universal Electronics Industries and produced a range of Holga cameras. I asked York Lo if he could supply any information about Mr Lee from his range of old Chinese newspaper sources which yielded nothing. We don’t even know what his initials TM stand for. Can you provide further information about TM Lee (and about his two HK companies)? This article was first posted in 28th December 2016. 2012 Apple Daily article from below link said he studied railroad engineering at Tsinghua University before coming back to HK to work for Yashica in the 1960s. It also mentioned that before Holga, Universal was known for its WOC brand of camera flash light and other sources stated that WOC stands for Wing On Cheong. Wing On Cheong is a diversified business group founded in 1953 by Lee Ting-chung (李定中, I believe he is the older brother of TM Lee) and his older brother Lee Ting-tai (李定大). According to his rare interview with Next Magazine in 2002 (see below link), the group made its initial fortune importing Japanese fabric and supplying it to the many tailor shops that were catering to visiting US soldiers during the Vietnam War. Based on old newspaper search, Wing On Cheong was the distributor of Yashica cameras in HK as early as 1960 and at its peak in the 1970s/80s was selling ten thousand cameras in HK a year. From 1970s onwards the group is better known for its finance and securities business and also its office buildings in Sheung Wan. 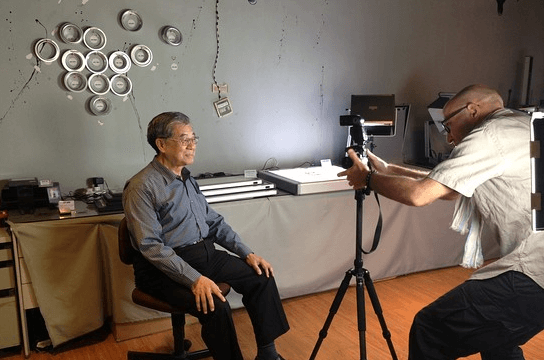 Mr. Ding-Yu Lee, also known as Joseph, has been the Head of Photographic Manufacturing Equipment Business at Hong Kong since 1987. Mr. Lee is a manufacturing & property investment veteran with 23 years of experience. Mr. Lee started his career working for Kyocera Corporation Japan. Mr. Lee possessed a sound knowledge in industrial know-how in China and sound experience in developing distribution network internationally. Mr. Lee has been a Non Executive Director of Cheuk Nang (Holdings) Limited since December 1, 2006. He serves as Director of Universal Electronics Industries Limited and holds many directorships in companies in Hong Kong and overseas. Mr. Lee earned his Bachelor degree in Business Management & Economics from Sophia University Tokyo in 1984. Kyocera was the owner of Yashica cameras from 1983 to 2008. The Yashica brand is now owned by HK-based MF Jebsen Group.